Everyone I know is sick. Or was sick. Or is going to be sick again. Whether's it's the flu, allergies, or some random cold, there has been more coughing, aching, sneezing, and whining than most people have ever endured in my household of 5 children. That's because, when the first child brings it home from wherever, it takes weeks for it to get to the last child -- and then we start all over again! 1. Snuggle. While not scientific, a good cuddle with a sick kid can help give you additional patience needed to care for your little patient. It also encourages kids to sit still and rest, which is needed for them to recover from their illness. 2. Hydrate. My kids drink constantly when sick. Whether it's water, diluted juice, or warm tea, the kids know that if they are awake, they are sipping something to keep them healthy! 3. Sleep. All sick kids go to bed early. That's the rule. We also require a 45-minute FOB (Flat on Back) time for anyone running a fever. Even the big kids have to do this. 4. Get help. While I hate using medicine unless I absolutely have to, there are times when you can't do enough for your kids and need a medicine-alternative. A mild over-the-counter product (natural, of course), can help with some of the discomforts of being sick -- such as coughing. Zarbee's Children's Nighttime All-Natural Grape Flavor Cough Syrup is one such product that I would use without hesitation, especially if I need to get some sleep! This product, available at Walmart, is 100% drug, alcohol and medicine -free so parents can feel completely safe about giving Zarbee's to their children. 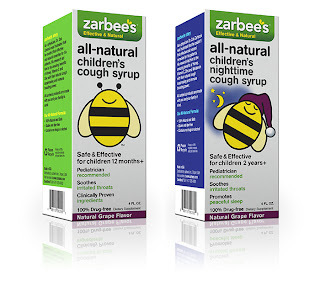 40,000 doctors recommend Zarbee's products nationwide! Have your kids been sick this year? What do you do to ease their symptoms? As a participant in the Walmart Moms Program, I've received product samples and compensation for my time and efforts in creating this post. All thoughts and opinions are my own. This is not a substitute for medical advice, and if you have any concerns you should always check with your health care provider first.